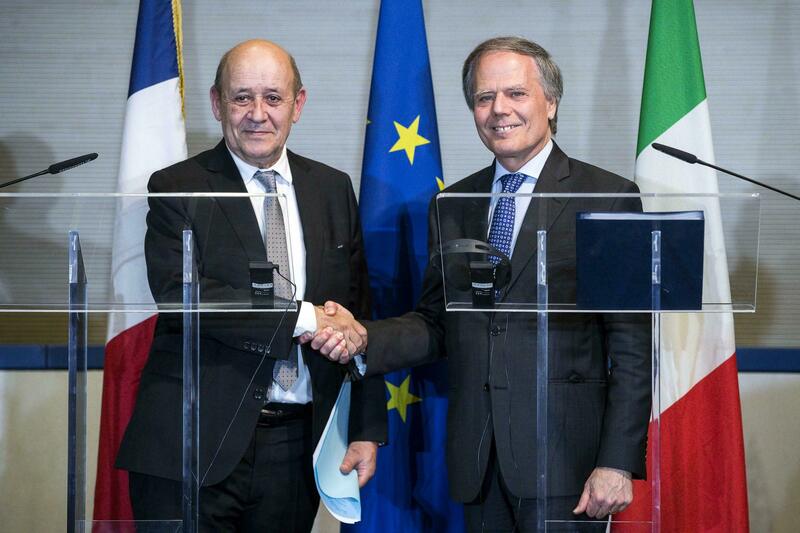 Italian Minister of Foreign Affairs and International Cooperation, Enzo Moavero Milanesi, poses for photos with French Minister of Europe and Foreign Affairs, Jean-Yves Le Drian, at the Farnesina Palace in Rome, Friday, April 19, 2019. At least 205 people have been killed in the battle for the control of Tripoli, the World Health Organization (WHO) stated on Thursday. 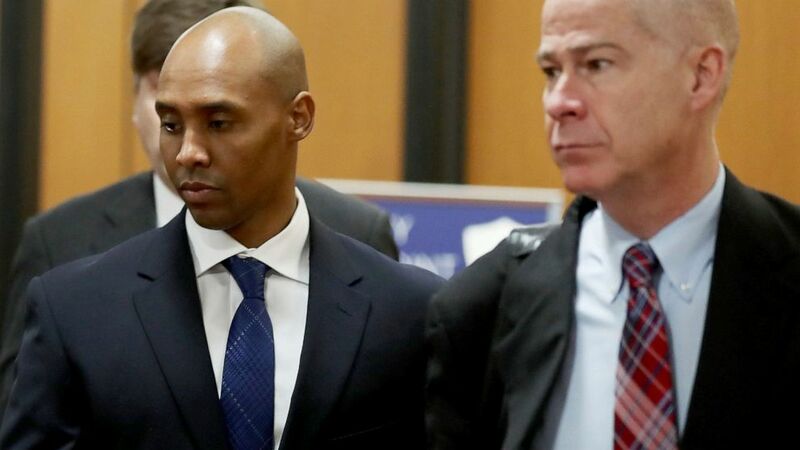 camera (The Associated Press) Former Minneapolis police officer Mohamed Noor, center, is accompanied by his attorneys Peter Wold, not pictured, and Thomas Plunkett, right, as he walks towards the Hennepin County Government Center for opening arguments of his trial Tuesday, April 9, 2019, in Minneapolis Opening arguments scheduled to begin in the trial of former Minneapolis police officer Mohamed Noor in the shooting death of Justine Ruszczyk Damond. 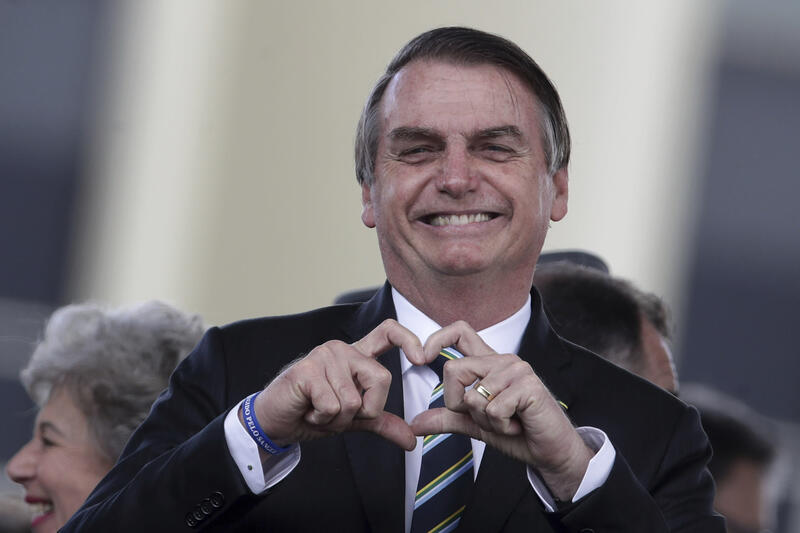 Brazil's President Jair Bolsonaro flashes a heart-hand symbol during a ceremony marking Brazilian Army Day, in Brasilia, Brazil, Wednesday, April 17, 2019. WASHINGTON (AP) — The Latest on congressional reaction to special counsel Robert Mueller's report (all times local): 4:30 p.m.
PARIS – French President Emmanuel Macron is hosting officials from the United Nations' cultural agency, where he is expected to set out ideas for the reconstruction of Notre Dame Cathedral. 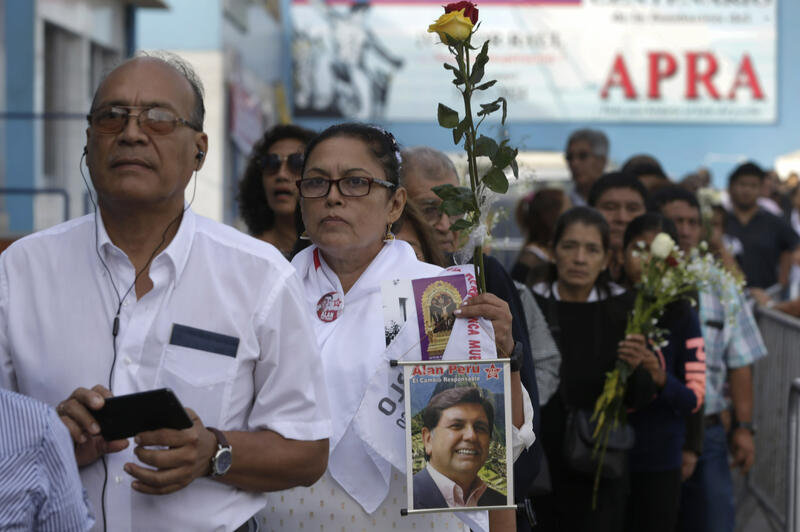 A woman carrying a photograph of Peru's late President Alan Garcia waits with others outside Garcia's political party headquarters where his wake is taking place in Lima, Peru, Friday, April 19, 2019. 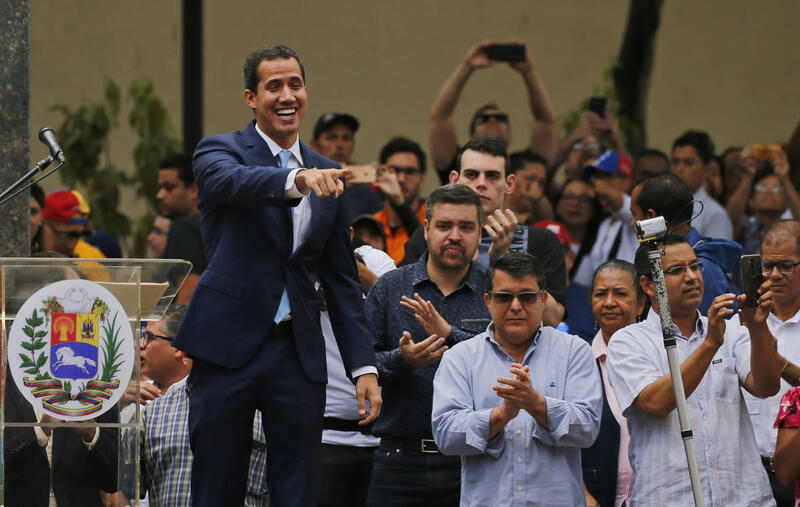 Juan Guaido, opposition leader and self-proclaimed interim president of Venezuela, points to supporters as he arrives to Plaza Bolivar for an outdoor, town hall-style meeting in the Chacao area of Caracas, Venezuela, Friday, April 19, 2019. 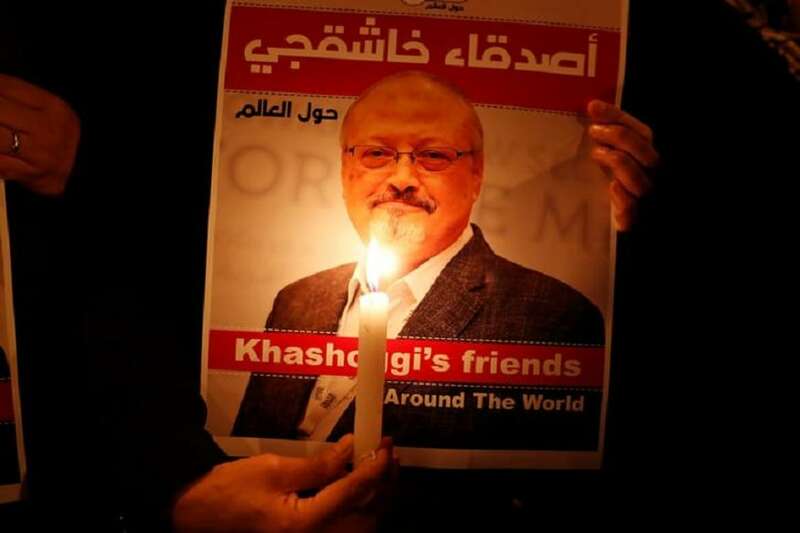 Ankara: Turkey has arrested two suspects who confessed to spying on Arab nationals for the United Arab Emirates, and is investigating whether the arrival in Turkey of one of them was related to the murder of Saudi journalist Jamal Khashoggi, a senior Turkish official said on Friday.